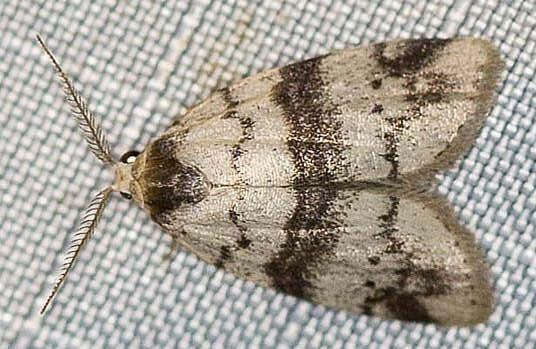 This species has adult moths with forewings that are white with dark markings, including a jagged dark band across the middle. 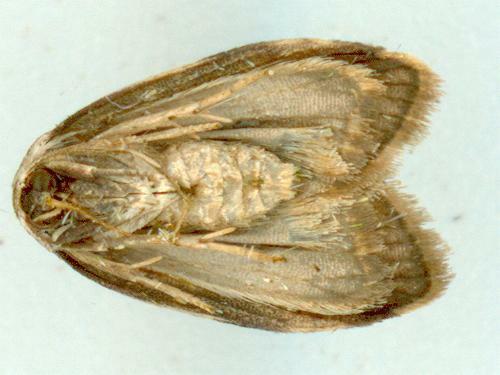 The hindwings are plain white The wingspan is about 1.5 cms. Volume 12 (1943), p. 109.